I love a good ol' fresh face mask, espeically when it's coming from Lush. I recently headed into my local Lush store to basically see if anything was new or worth trying out. One of the talented girls that I've become friendly over Lush products, showed me this little gem called "Rosy Cheeks Fresh Face Mask". It smells like a rose bed pretty much!! Anything that has roses or rosewater...I'm in all the way! I use this mask two times a week and I'm quite generous with the application too. I find the mask helps with any trouble skin issues you may have and helps smooths out the skin texture as well. The first time I used the mask, I think my face was a little 'stained' from the pigment of the mask, but the second time around it didn't stain at all. Leaving the mask on for approx 20 mins is prime and then you can simply rinse off with warm water. Rosewater is good for softening the skin, assisting with the sensitivity of sensitive skin, balance the skin and help give the skin a glow from within. 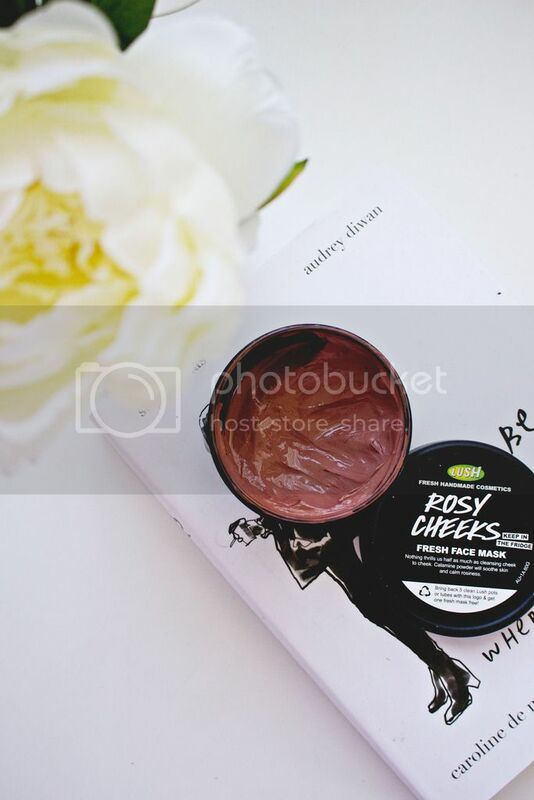 Calamine powder is also in this amazing face mask which helps soothe the skin and calm any redness to the skin. Have you guys tried this particular fresh face mask yet?